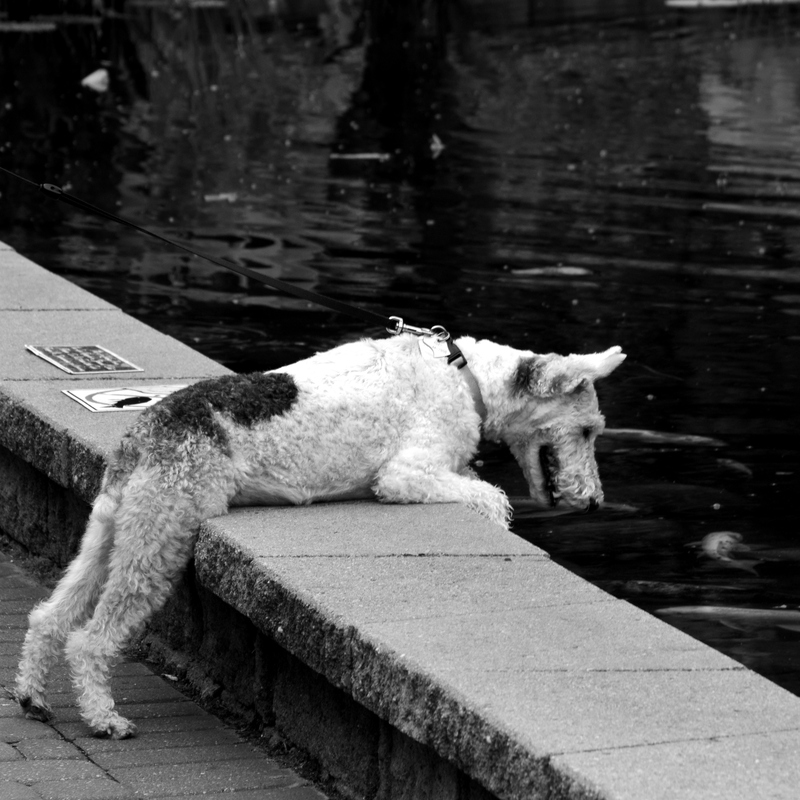 Yes, it was great fun to look on as this dog watched the Koi swim about. He seemed mesmerized! Thanks…it was a fun one! What a cute pup! He so wants to play! That he is. The owner said it would jump right in without the leash! Not unless his leash breaks! Glad I could bring a smile! So true, we had a dog that would fit those words perfectly. Dogs have such distinct personalities. This little guy was so engaged watching the Koi. And the fish swam right over to look at him. He just wants to play… what a great photo and poem! Yes, he’s ready to dive right in! Yes, he is a cutie for sure! Glad you found it humorous! I like it too….I used it often in my youth….long ago!